The sanctity of the electoral process is essential to the integrity of this nation’s democracy whether voters are electing a candidate to serve on a local waterboard, city council, state assembly or U.S. Senate—if the process fails or lacks integrity the fiber of democracy unravels. On the heels of a contentious election in 2016, the nation learned of alleged Russian efforts to shape its outcome. Nearly a year later, in September 2017, the federal government acknowledged Russians had targeted and attempted to penetrate voting systems in at least 21 states—the government further acknowledged some of those attempts were successful. Earlier this year, NBC described top secret intelligence reports that revealed seven of those 21 states had their websites or databases compromised. Listed among the impacted states was California. Some of the breaches were defined as more serious than others. The specifics of what happened and how each of the involved states was impacted has yet to be revealed. The array of possibilities ranged from entry into state websites to penetration of actual voter registration databases. The question of Russian penetration into California’s electoral websites and databases remains unresolved. As federal officials continue to probe the potential impact it had on the 2016 election, they have also raised red flags about possible interference in this year’s midterm by Russia and other actors. In July, concerns over the sanctity of the vote came even closer to home when San Bernardino County Registrar of Voters Michael Scarpello suddenly resigned. Whether he was forced out or left voluntarily, the impact was the same—a little more than three months before one of the most consequential mid-term elections in recent history, the San Bernardino County elections office lost its leader. Although a purported clash in leadership styles between and Chief Operating Officer, Leonard Hernandez and the registrar, was blamed for the departure, Scarpello was not shy in his criticism and concern regarding important issues that could impact the integrity of the 2018 midterm. Scarpello, who had successfully served as the county’s registrar as since 2011, came to the job with impeccable credentials. He was previously the Director of Elections in Denver, Colorado, and before that served as Elections Manager in Douglas County, Nebraska. The breath and depth of his experience in election process and procedure was hard to match. In fact, improvements he incorporated into the voting system in Douglas County, Nebraska were incorporated into the state’s entire voting system. With such a laudable record, when Scarpello expressed concerns over the county’s aging voter system, potential cyber security issues and lack of adequate staff, especially in light of the lack of clarity surrounding whether, how and to what extent Russia may have penetrated California voting systems it caused many locals to pay attention. Although there were rumors of dissent among the department’s staff over Scarpello’s purported aggressive leadership style, he rested on a history and track record of successfully protecting the integrity of voting systems across three states. His departure did not go unnoticed. The Executive Board of the San Bernardino County Central Committee drafted a resolution which condemned his forced departure. County Spokesperson David Wert sought to assuage voter concerns, “Mr. Scarpello’s departure had nothing to do with the integrity of election and registration activities during his tenure,” Wert said when Scarpello departed. 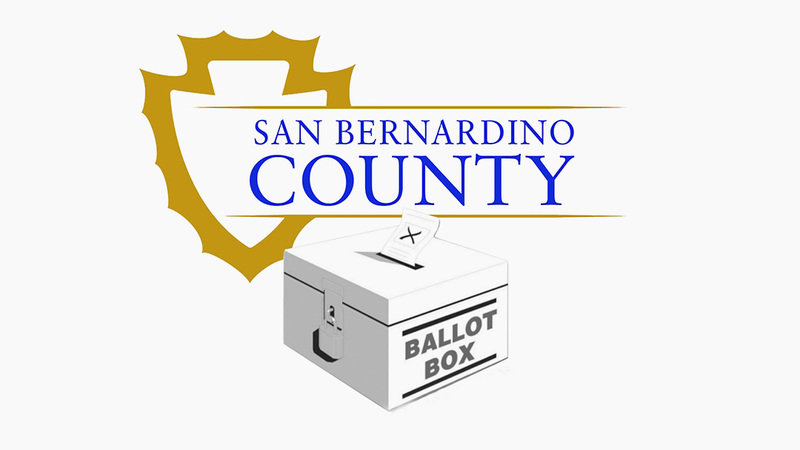 This was an interesting proclamation considering the San Bernardino County Registrar of Voters is responsible for all aspects of the election process for the county’s residents. Wert appeared to have forgotten the history in this regard that occurred before Scarpello’s appointment. In November 2001, there was a programming error in the computer system used to scan and record the votes. Because of this error, the county declared the wrong candidates as winners in 13 races. The county subsequently corrected its error and announced the 13 candidates had lost their respective races. In the 2004 primary election the San Bernardino County Registrar of Voters proceeded to use a touch screen voting system that was decertified by the California Secretary of State prior to the election because they were vulnerable to tampering. Shortly after the election both the county’s registrar and assistant registrar resigned allegedly because ballot stuffing had occurred. Despite these past failures Wert assured, “The county can say with all confidence that the voting system is secure and completely immune from cyber security risks because it is a closed system. It is never connected to the internet or any other network.” Bob Page is serving as the county’s interim registrar. Regarding other issues related to this year’s election, as of October 28, voter registration in the county is up by 10.6 percent over 2014. In addition, early in person voting is up by 89.7 percent over the previous midterm, and as of October 30, the number of mail-in ballots returned show a 57.8 percent increase when compared to the number of mail-in ballots returned over the same time in 2014. When Melissa Eickman, Public Information Manager for San Bernardino County’s Registrar of Voters was asked what concerns the agency has about potential problems on election day she replied, “Our primary concerns are making sure that every eligible voter is provided with the opportunity to participate in the election and that our poll workers are providing excellent customer service. On every election day, some voters are required to use what’s called a “provisional ballot” to vote. Such voters are provided with provisional ballots because their eligibility to vote could not be immediately determined at the polling place. According to Eickman, voters who vote using such ballots also receive a provisional ballot receipt. If the voter’s eligibility to vote is subsequently verified, the ballot is counted. If the voter is ineligible to vote, the ballot is not counted. “About 30 days after the election,” she explained, “the voter can visit the office’s website at https://www.sbcountyelections.com/ or call (800) 881-VOTE to determine if their provisional ballot was counted. Eickman assured the county now has enough poll workers for this election and poll worker training is completed. However, she encouraged people interested in volunteering for future elections to review information on how to get involved at www.sbcountyelections.com/ElectionWorkers.aspx.